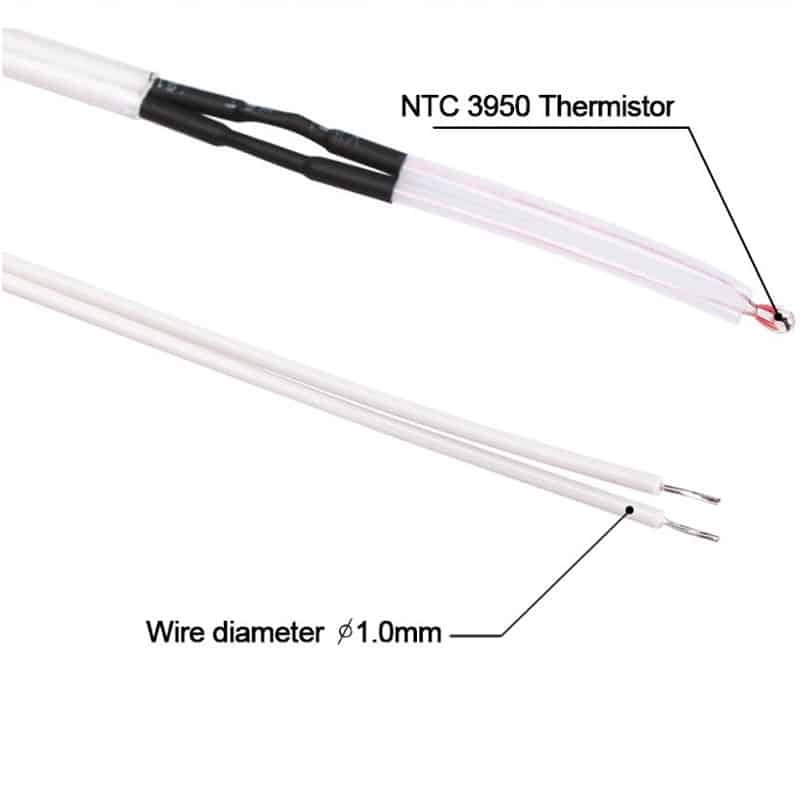 Prewired NTC 3950 temperature sensor with 1 meter (39”) high-temperature PTFE insulated connection wire. 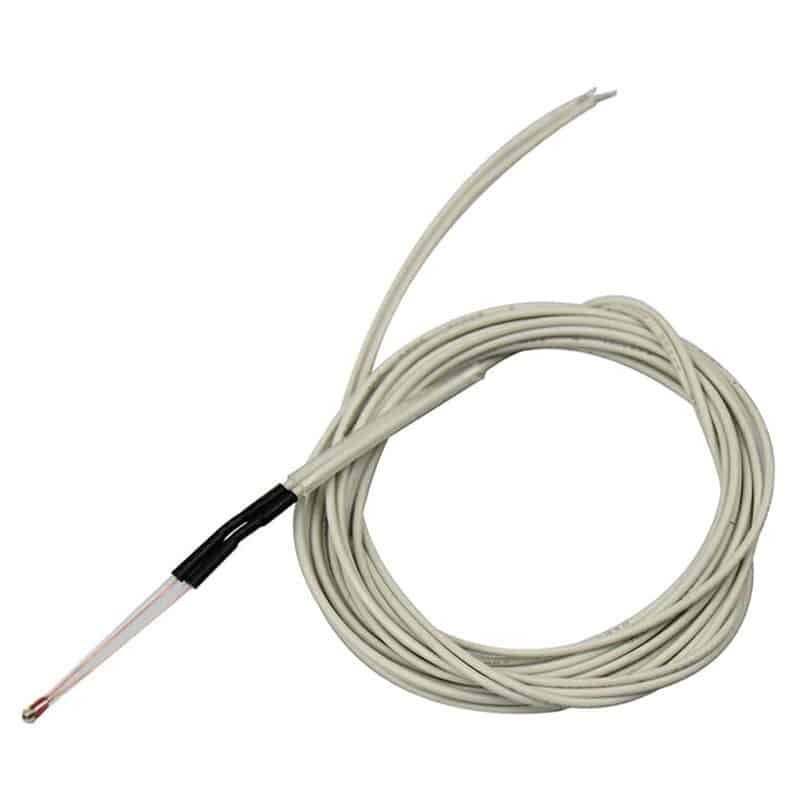 The thermistor leads are insulated with heat-resistant tubing, connections to the cables are sealed by heat-shrink, and the ends of the wires are pre-stripped. Ready to install on your 3D printer or another DIY project. 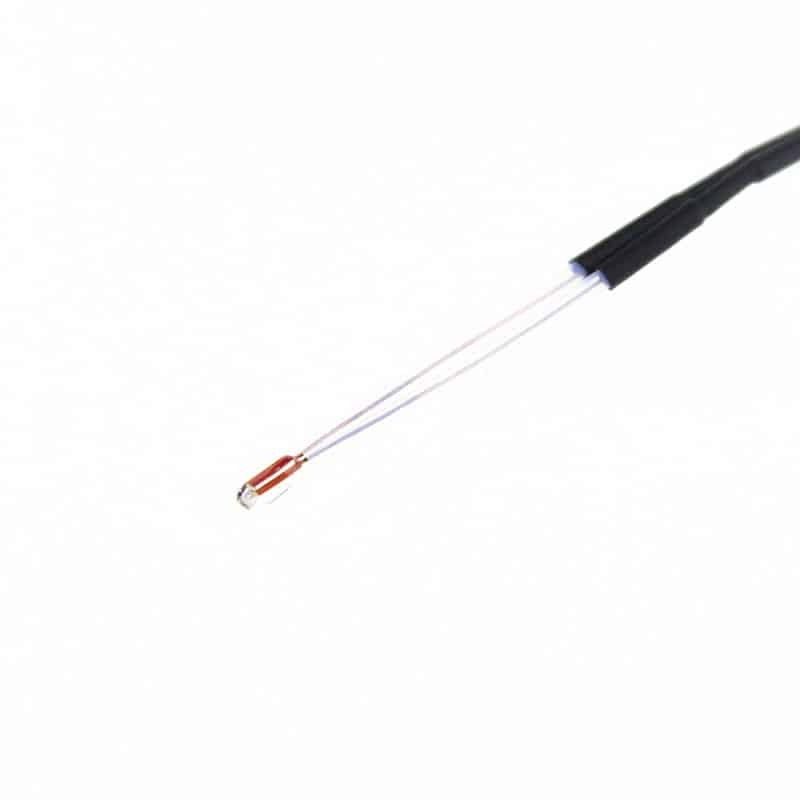 The sensor is glass encapsulated for long-term stability and reliability.